Harlan Karnofsky opens to 2,200 and 3-bets to 5,000. The blinds get out of the way and Karnofsky (above) makes the call. 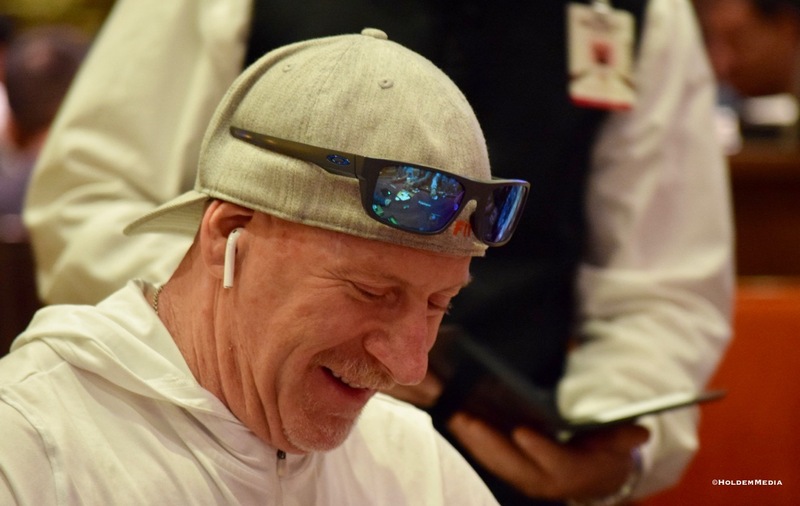 The flop is , makes it 7,000 more and Karnofsky snap-fires his last 11,100 out as an all-in bet. "I'm calling if I have any kind of a draw," says. "Oh, so you're on a draw?" Karnofsky asks. says aloud he is calling, and the dealer calls for the hands to be tabled. The turn is and river is .. four diamonds out there, no diamonds for and Karnofsky moves to 24,500.